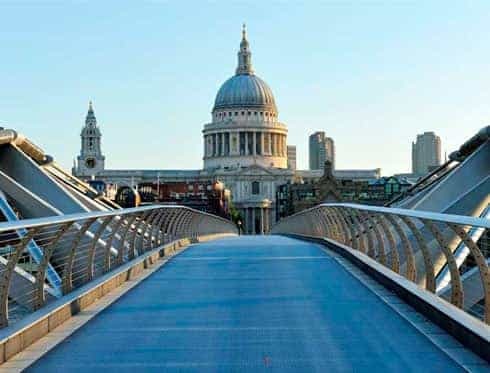 The Millennium Bridge is a hanging pedestrian bridge made out of steel which crosses the River Thames as it flows through London. It was opened in 2000. It is located very close to the London Eye, between the Southwark and Blackfriars bridges. Designed by the famous British architect Sir Norman Foster, the materials making up its structure are mainly steel and aluminium. This bridge is of particular interest as it is the first one was built after the construction of Tower Bridge. The southernmost end of the bridge leads straight into the Tate Modern Museum.